The Blackburn-born goalkeeper served his youth career with Bury before signing professional terms and establishing himself as the club's number one. He made 174 appearances in a six-year stay at Gigg Lane – a period of stability he struggled to match throughout the remainder of his career – often changing clubs on a season by season basis. After Bury, Ramsbottom moved to Blackpool but struggled to establish himself, making only 12 appearances, with a further three coming from a loan spell with Crewe Alexandra. After just a single season at Bloomfield Road, he left to sign for Coventry City, where he made 51 appearances in a three-year stay before moving again, this time to Sheffield Wednesday. As at Blackpool, he again failed to establish himself, with another single season stay at Hillsborough, resulting in just 18 appearances. It was then that he made the long move to Devon, donning the jersey so ably filled by Jim Furnell and Milija Aleksic the season before. 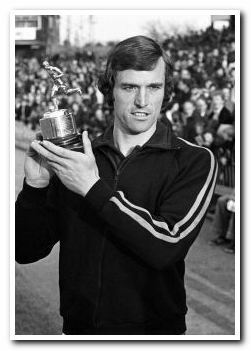 Whilst Home Park proved to be Ramsbottom's home for just one season again, he was a near ever-present, despite competition from Paul Barron, and although 1976/77 ended with relegation, Ramsbottom did enough to earn the 1977 Player of the Year trophy. The following season he was lured away by the opportunity to join his hometown club, but made only ten appearances for Blackburn Rovers before moving to Sheffield United in 1978, where he only made a further two appearances. He left Bramall Lane early in the 1979-80 season to move Stateside, playing one season for Miami Americans in the short-lived third incarnation of the American Soccer League (ASL). 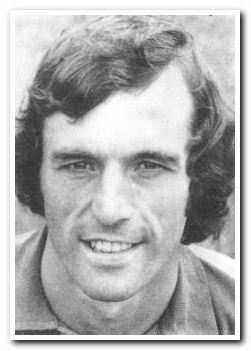 The Americans folded in 1980 and he returned to the UK to enjoy a period of late career stability at his new club, Bradford City, where he made 73 appearances in a three-year stay. His last League club was AFC Bournemouth, for whom he made four appearances as a non-contract player in the 1983-84 season, before winding down in non-league football with Chorley, joining them at the age of 39 after a League career that totalled just under 400 appearances.